I love a good Poppy Seed bread. This is another recipe of my Grandmother’s that works well with Gluten Free Flours. I use the Gluten Free Pantry All Purpose Flour Mix on this recipe. It did not change the taste or the texture of the bread. In large bowl combine dry ingredients. Stir in eggs, oil, milk, poppy seeds and the flavorings. Combine well with electric mixer. Place in 2 greased 8 X4 loaf pans and back @ 350 for 1 hour. While cooking mix together glaze: 1/4 cup orange juice, 3/4 cup sugar, 1/2 tsp butter flavor, 1/2 tsp almond flavor, 1/2 tsp vanilla. When bread is done and still warm poke holes in the top and pour glaze mixture over it. 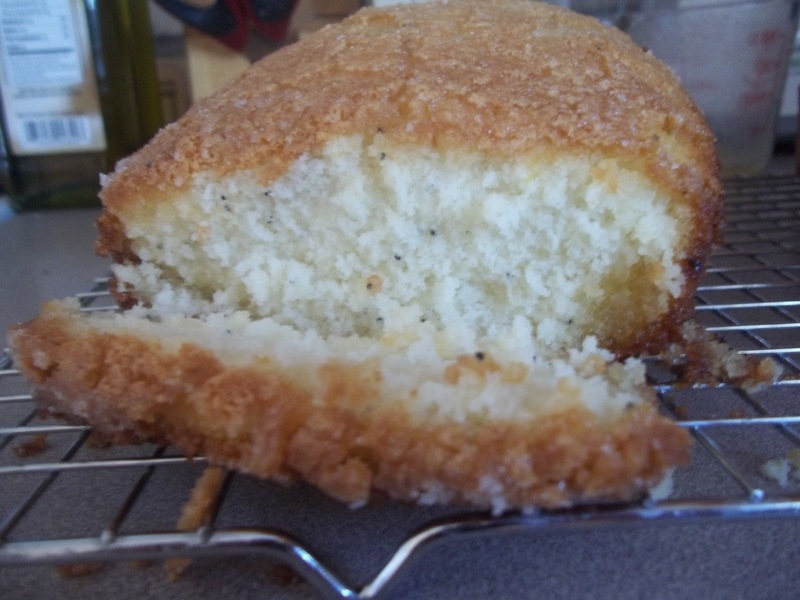 This entry was posted in Allergy Free Wednesday, Recipes, Slightly Indulgent Tuesday on December 22, 2011 by Kandi. Thanks for sharing on Allergy-Free Wednesday! This looks so delicious…hope you’ll join us again this week with another great recipe!